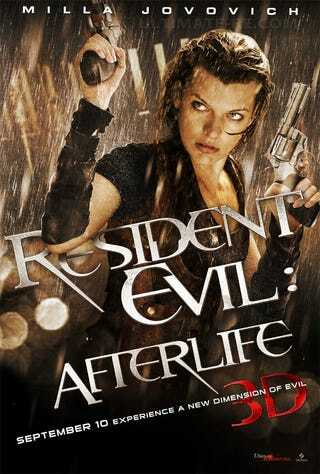 Out this September, upcoming horror flick Resident Evil: Afterlife is the fourth entry in the RE film series. It stars Milla Jovovich — this poster promises her drenched with pistols. That's an entire movie, right there!